Believe it or not, owning unallocated gold is the most common form of gold investment in the world. To the uninitiated, however, this may not mean much. 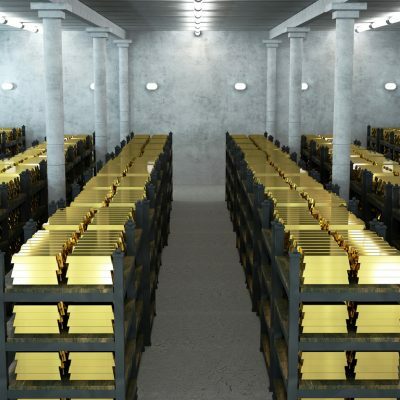 What exactly does “allocated” and “unallocated” gold mean, and why is it important? Here is a quick rundown of what unallocated gold is, why it is important, and how it could possibly benefit your investment portfolio. When you decided to buy gold, doing so from a bank will usually result in you buying unallocated gold. In fact, about 95% of the world’s gold ownership is of unallocated gold. This is, more or less, a bookkeeping device used by banks and other services, and means that the gold does not belong to you personally, but rather to unsecured creditors. Unallocated gold is a synonym for “gold accounts.” The opposite of unallocated gold would be allocated gold, or physical gold. Another important difference between allocated and unallocated gold, is that allocated gold is your physical property, whereas unallocated gold is formally considered a deposit, and therefore belongs to the bank. This then makes ownership of unallocated gold an investment structure where the investor (you) provides capital to the supplier (the bank) and risks the loss of that capital in the case of the supplier becoming insolvent. Unallocated gold accounts are usually measured in units of 1 fine ounce of gold. If you would like to buy physical gold, or allocated gold, it is possible to do so through Gold Investments. Owning precious metals, in bars or coins, is a flexible way of investing, as they are internationally recognised currency, are easy to sell should the need arise, will continue to hold their value, and can be owned physically. If you would like to purchase physical gold through Gold Investments, we accept payment in the form of cheques, bank transfers, debit cards, and cash. Please not that we do not accept credit cards. Please be aware that we only accept cash payments up to £7,500 per person, in accordance with UK money laundering regulations. We offer worldwide shipping if you would like to store your gold at home, as well as storage options for all Gold Investments customers with the London Silver Vaults, at a price of £4 per ounce per year. If you are interested in picking up your physical gold personally at our London offices, please get in touch ahead of time by calling 0207 283 7752 or emailing info@goldinvestments.co.uk to arrange an appointment. Our offices are open weekdays from 9:00 am to 4:30 pm. Online trading is available 24 hours a day.